It was all about how she had so many projects (WIPs) on the go she felt she was drowning. It made me stop and think. Why? Because, like Kerry, I do drown a little in the volume of projects I have. I always have a lot ongoing at any time, but I rarely take stock. And I knew that there would be some projects lurking in my cupboards which had been there for far too long. So I decided to have a good rummage and found what I thought was rather a lot. So I confessed my list of WIPs (work-in-progress) on Ravelry. There were 16 of them; some I started in recent months but the oldest was over 17 years old!!!!! But I am so keen to do some new things and I am finding it very hard to finish the 2 more WIPs to meet the challenge! I think I will complete one more, and make a try at the second, with the help of an evening in front of the TV! But I so long to do something new…….or rather add to my pile of ongoing projects. As well as WIPs, I have been busy on the pattern writing front and seen some of the fruits of my labour in this field. 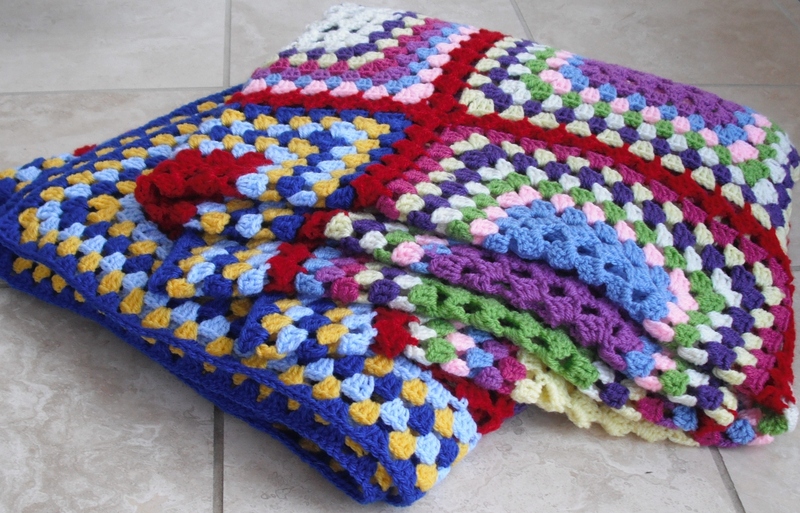 I have written the pattern for Poppet’s Blanket and I am just awaiting a little more feedback before publishing. Here’s a sneak photo of the design……..it’s a granny blanket with a difference and the difference is that it features my favourite diamond stitch in it! As the blanket is for Poppet, and Poppet came from The Cats Protection League, I have decided to donate £1 from each pattern sale to the charity. I’ll let you know when I publish it. The fruits of my labour is a small design which also uses my favourite diamond stitch in a slightly different way. It is the Diamonds Collar and features in this month’s Inside Crochet magazine. I don’t feature much in magazines because I don’t often submit my ideas to them, I prefer to dabble and design at my own pace. But being published does give me a bit if a buzz, so I may just send a few ideas off this month. 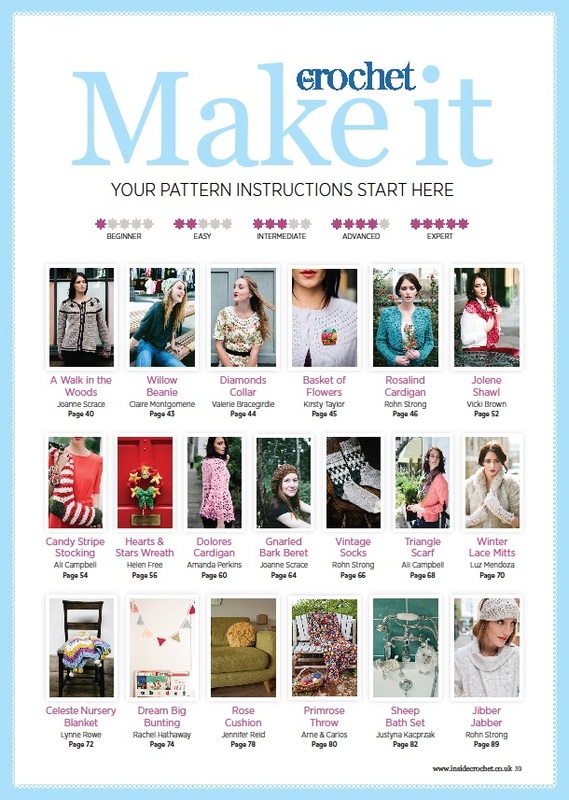 You can find it in the latest copy of Inside Crochet – website here: http://www.insidecrochet.co.uk/magazine where you will find it in their photo summary. Think you are very brave to admit to the number of WIP’s I have many projects which include knitting, sewing, embroidery etc! You are doing very well to get to grips with them! Well, I haven’t confessed my sewing and other craft WIPs yet, some of which are in the 17 years old category! !